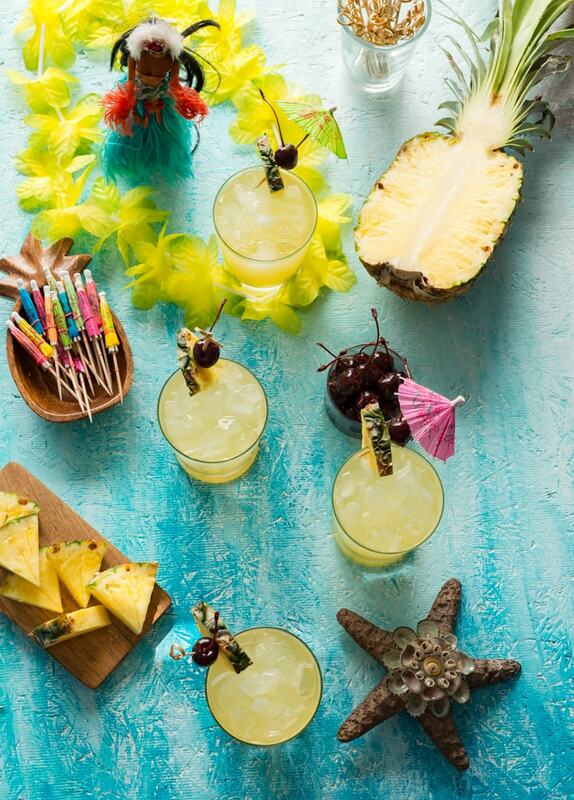 If you like Piña Coladas…..but not all the calories…. 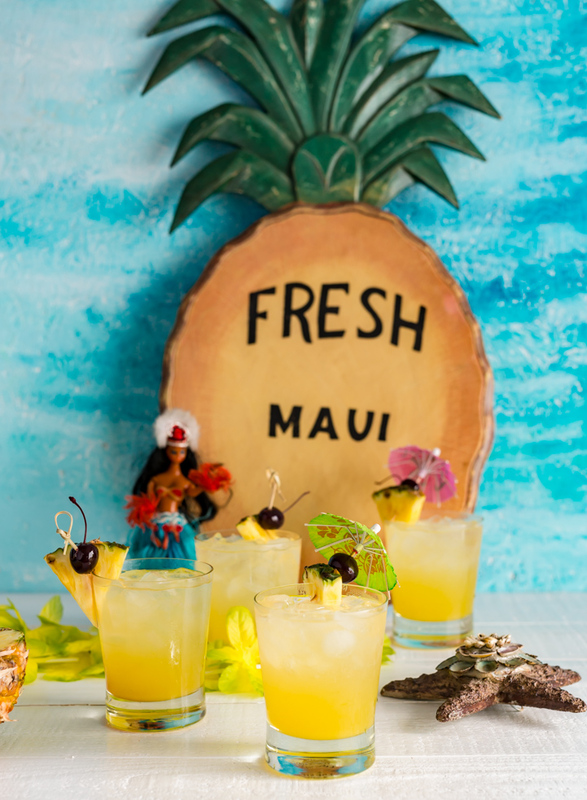 try my Skinny Pina Coladas made with Koloa Rum Company Kaua’i Coconut Rum! Thank you to Koloa Rum Company for sending me a delicious bottle of Kaua’i coconut rum! I love traditional Piña Coladas, but most of ones I have gotten before whether on vacation in Hawaii or pretending to be on vacation, they are a bit on the too sweet side for me and I don’t even want to know how many calories. 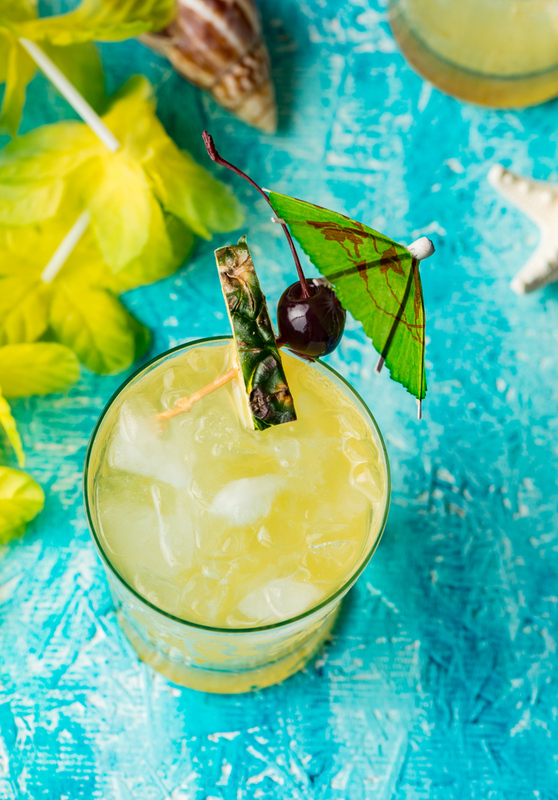 When Koloa Rum Company sent me a bottle of their amazing Coconut rum I knew I wanted to share with you all my favorite way of making Pina Coladas. Traditional ones are made with a sweetened cream of coconut and blended until thick like a milkshake almost. I much prefer drinks on the rocks aka over ice. 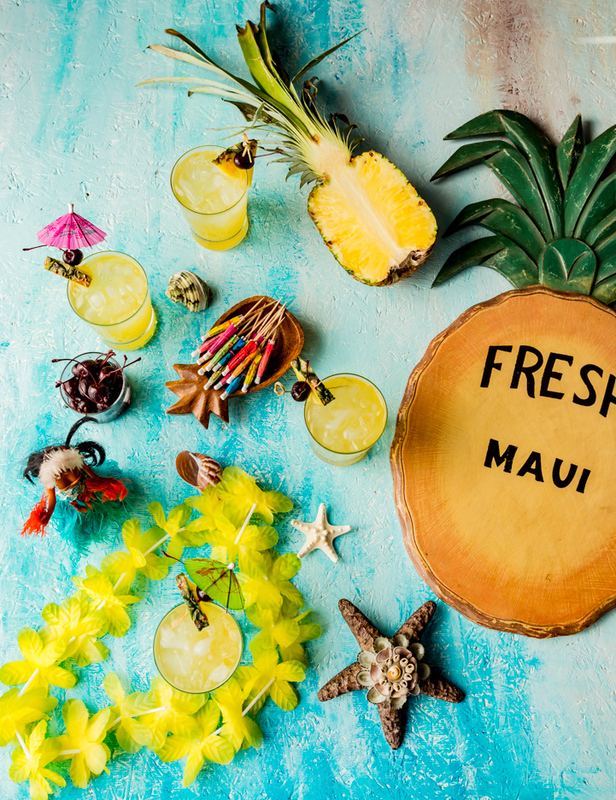 I bought my Fresh Maui pineapple sign years and years ago and I have always wanted to ship home fresh pineapples from Maui when I vacation there but for some reason I never have, until my trip there last year. I brought home three glorious Maui pineapples and I had some stares coming from other passengers on the airplane telling me it wasn’t fair that I wasn’t sharing them. They smelled amazing. I knew I wanted to juice one of them for cocktails. I cut one up and froze it to save for juicing for cocktails. I like juicing my own fruits for cocktails since the flavor is always more concentrated, rather than using a can or jar of juice which often tends to be watered down. I obviously know not everyone has a fresh Maui pineapple sitting around – so juicing any pineapple ( make sure you strain it for a thinner juice) or any jar or canned pineapple juice works well too. As far as jarred pineapple juice goes I like using Lakewood Organics. And if we are using Maui pineapple juice we HAVE to use Koloa coconut rum from Kaua’i. 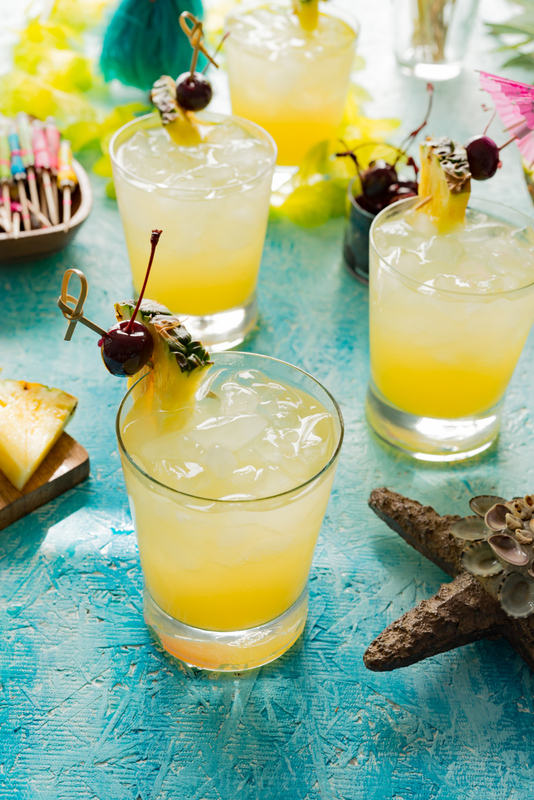 My two favorite things, pineapple and rum, from my two favorite Hawaiian islands combined in one delicious cocktail. 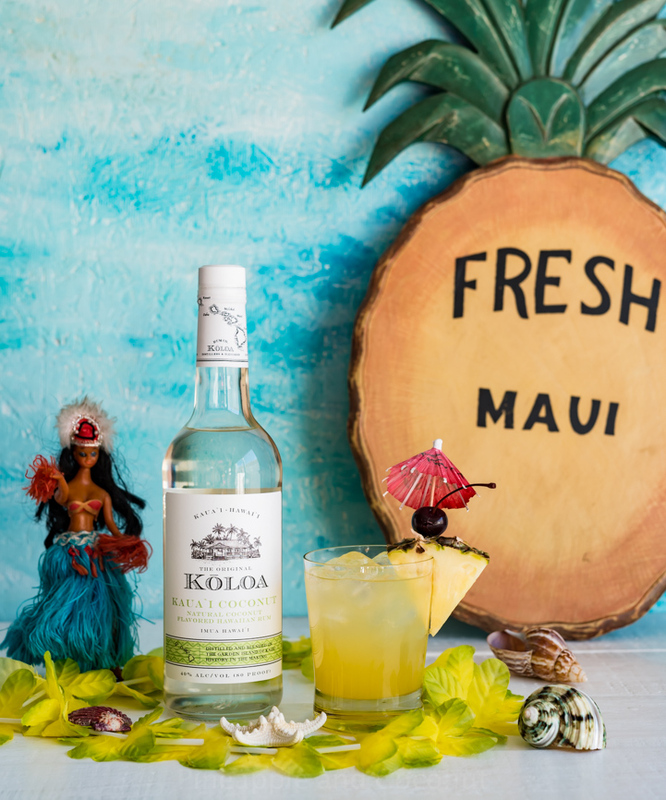 I love the Koloa rum because the coconut flavor is subtle and sweet and not fake tasting at all like some other coconut rums I have tried. I might be biased since this is my favorite rum, but I have tried others that after one sip I couldn’t drink anymore. But Koloa Kaua’i coconut rum? It has become a liquor cabinet staple at my house. Another traditional Piña Colada item that I substitute for a different kind is the maraschino cherries. I am not a fan of the waxy taste of the traditional ones, so I went on a search for a better tasting cocktail cherry. I found these Bordeaux maraschino cherries at Whole Foods, and the flavor and texture are so good, perfect for cocktails. If you like Piña Coladas.....but not all the calories.... try my Skinny Pina Coladas made with Koloa Rum Company Coconut Rum! I have many different brand of coconut water’s I like to drink. Harmlest Harvest is one but it can get pricey. I usually save that for sipping on during summer for when I play tennis matches. 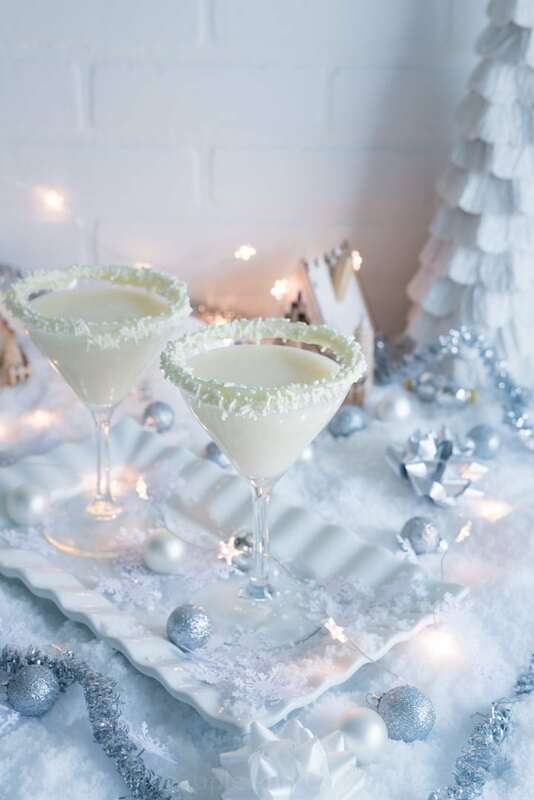 For cocktails like my skinny Piña Colada, I tend to use the 365 brand from Whole Foods or Vita Coco. I love the different flavors that Vita Coco has – like the mango or pineapple. 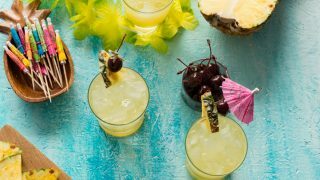 If you want to add more flavor to these pina coladas try one of the fun flavors of Vita Coco coconut water. 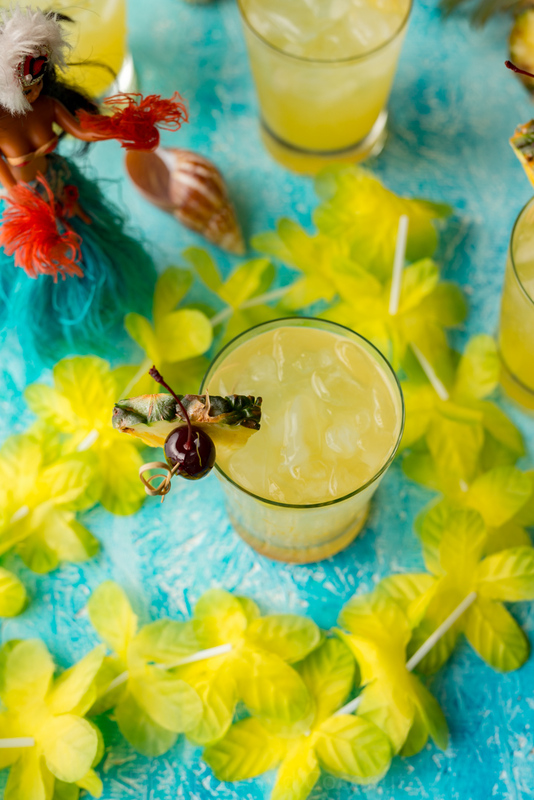 Aloha and I hope you enjoy these Skinny Piña Coladas! !